Delegation of authority is a process in which the authority and powers are divided and shared amongst the subordinates. When the work of a manager gets beyond his capacity, there should be some system of sharing the work. 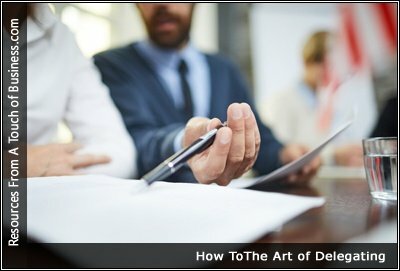 What the Experts Say Delegation is a critical skill. “Your most important task as a leader is to teach people how to think and ask the right questions so that the world doesn’t go to hell if you take a day off,” says Jeffrey Pfeffer, the Thomas D. Dee II Professor of Organizational Behavior at Stanford University’s Graduate School of Business and author of What Were They Thinking? Does the idea of delegating tasks cause you to break out in a cold sweat? Do things always have to be done your way? Maybe you think you’ve got everything under control, but you’re setting yourself up for failure if you can’t delegate. As you climb higher up the ladder at work, you’ll find that doing everything yourself is simply impossible. You’re helming bigger projects and have greater responsibilities. Relying on your team is a must.